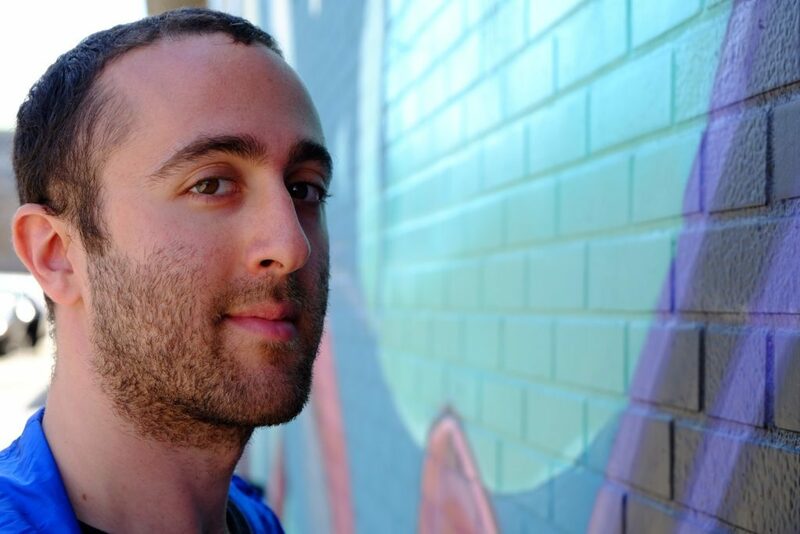 We first met Jay Rosenkrantz, recommended for his expertise in programming and game design, to introduce him to Mentorly in the hopes of him joining the platform as a tech mentor. Little did we know he was in the process of clocking thousands of hours building one of the first, first-person adventure virtual reality game in history, Chiaro. After its successful launch this past fall, it’s safe to say that Jay has become somewhat of a gaming wunderkind (he’s also a poker master!) and we’re all ears to hear his story and have him demystify the process of creating such an internationally popular game. ▹ What is Chiaro and what’s the story about? 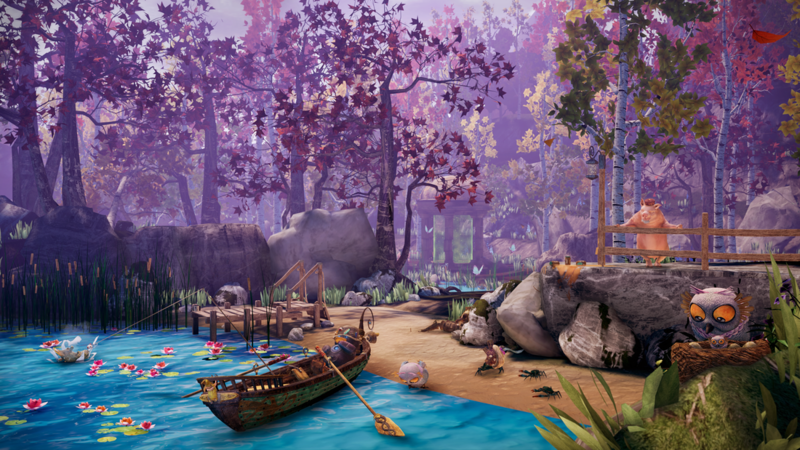 ▸ Chiaro is a first-person virtual reality adventure game. 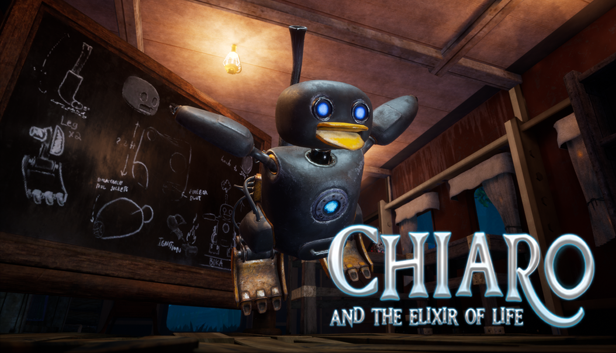 You play as Chiaro, a young engineer who builds a platypus robot named Boka and brings him to life using Elixir, a powerful ancient fuel. Together you and Boka form an unbreakable bond and embark on an epic quest to bring back the long lost race of Alive Machines. ▹ Where did the idea of Chiaro come from and what was the process of getting it off the ground? ▸ My co-founders and I were inspired by the potential for virtual reality, how it promised new ways to tell meaningful stories and connect with characters that one day might feel as real as me or you. In true startup fashion we bootstrapped a prototype: the three of us on computers in a room, daring to build something new and exciting, learning something new every day. ▹ Can you briefly describe the creation process and team behind the game? ▸ Chiaro was a true collaboration: a character artist made the characters, and our animator made them move and dance and sing; an environment artist painstakingly modelled the architecture, the flowers, the rocks and the trees, and our technical artist made it all look fantastic under the guidance of our creative director. 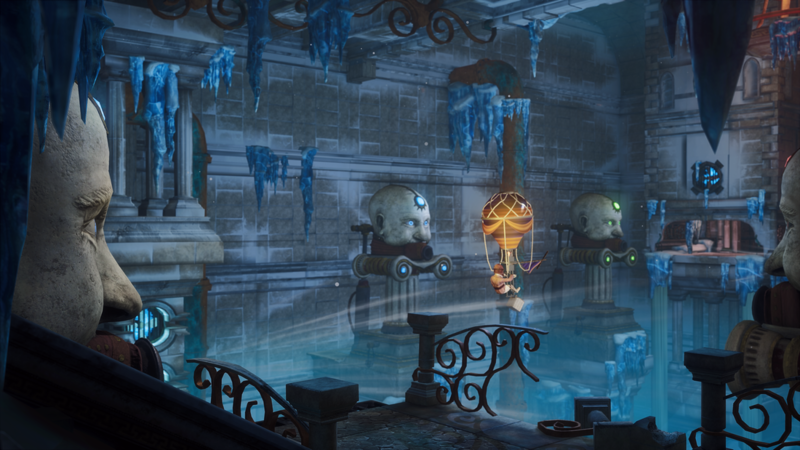 I led the design and programming team, which focused on the puzzles, gameplay, interactivity and storytelling, and my brother Scott designed and programmed all the sounds and audio. ▹ What did you most enjoy about this whole process? ▸ I’m a big Star Wars fan, so it was particularly satisfying to write the dialogue for Taylor Gray (he played the lead Jedi in Star Wars: Rebels), who we were lucky enough to cast to play Chiaro. Crafting the puzzles was tricky too: how do you find the right mix of tension and curiosity, and make every player feel like a genius when they’ve uncovered the solution? Answer: lots of iteration, lots of playtesting. ▸ None of us had ever made a video game before, let alone a virtual reality game. Our ambition totally outpaced our abilities so the hardest part of it was learning by doing, which, in hindsight, turned out to be the only way to make the game. ▹ Describe releasing your game and how it made you feel to have completed such a huge feat! ▸ It’s a total rush. As exhilarating as winning a huge hand of poker. Just tremendously satisfying, I’m really proud of what we made. Somehow we set out to create one of the first virtual reality adventure games in history, and pulled it off. ▹What are key findings/lessons you got from this process? ▸ You can do anything you set your mind to, even if you have no experience at it. Passion, a curious mind, and a refusal to quit are all you need to accomplish something amazing. ▹ Are there areas you’d like to have more guidance on moving forward? ▸ It’s always nice when someone more experienced can take a look at what you’re doing and point out all the possible pitfalls. You might fall in the pit anyway, but at least you know it’s there. ▹ As a mentor yourself, what lessons and guidance would you like to provide? ▸ I think my career can be summed up as spending a lot of time thinking of things that have never been done before, and then figuring out how to achieve them. So I think if you fall into that boat or aspire to build a boat like that, I might be able to help you row. ▹ What’s next for you? To learn more from Jay, book with him here! Posted in Home, Mentor Features and tagged adventure, animator, character artist, Chiaro, creative director, design, environment artist, first person, game, gaming, Jay Rosenkrantz, Jedi, programming, puzzles, Star Wars, Taylor Gray, technical artist, virtual reality, VR. Bookmark the permalink.